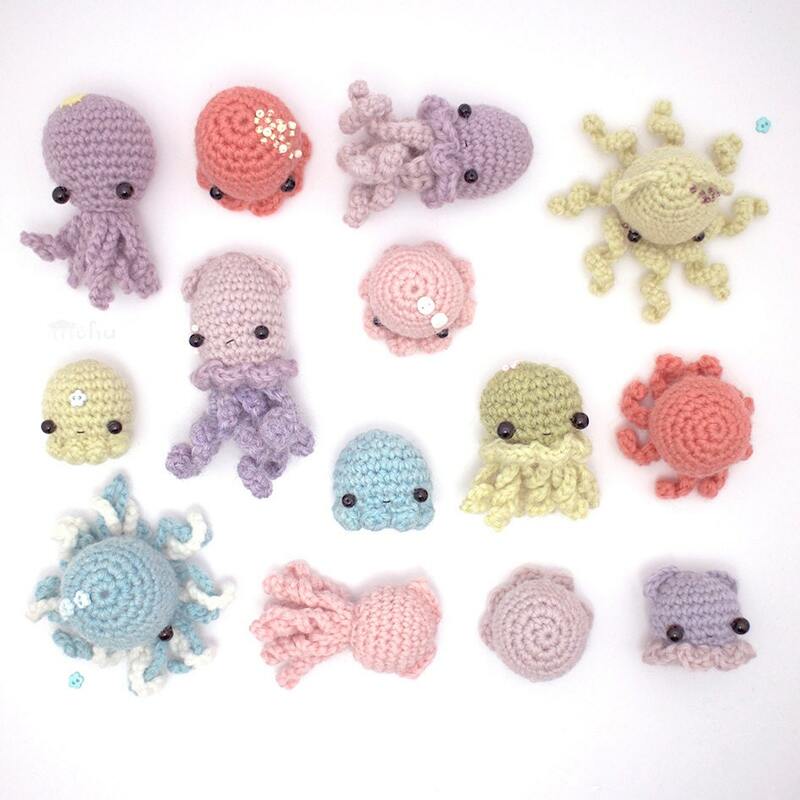 A crochet amigurumi pattern for squids, octopuses and jellyfish. The downloadable file includes patterns for 5 different bodies, and 4 different types of legs. There are also instructions on how to join them, and tips for customization. 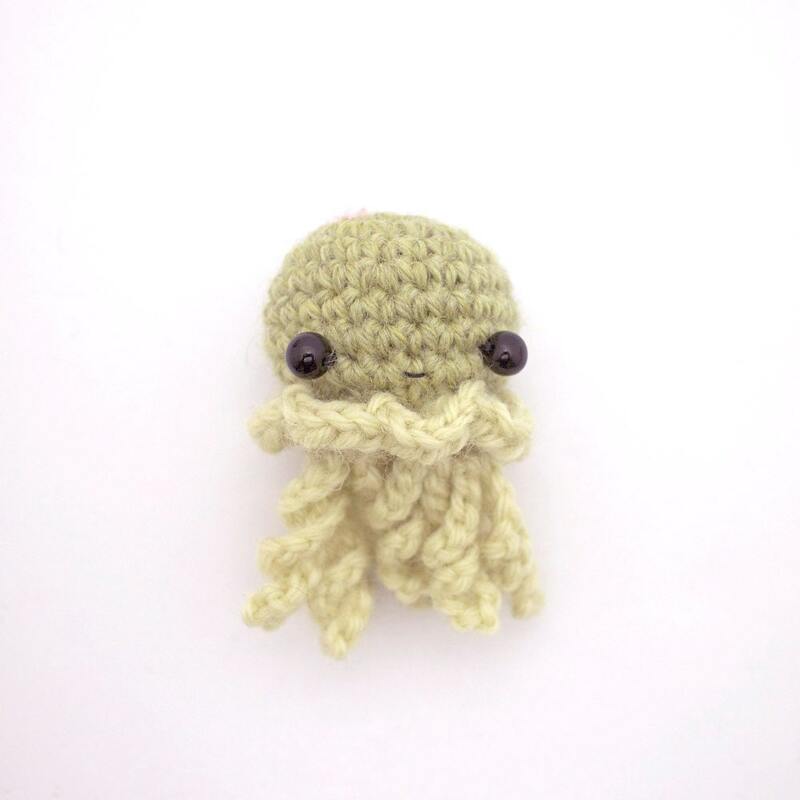 Now you can create your very own octopus, squid, or jellyfish. 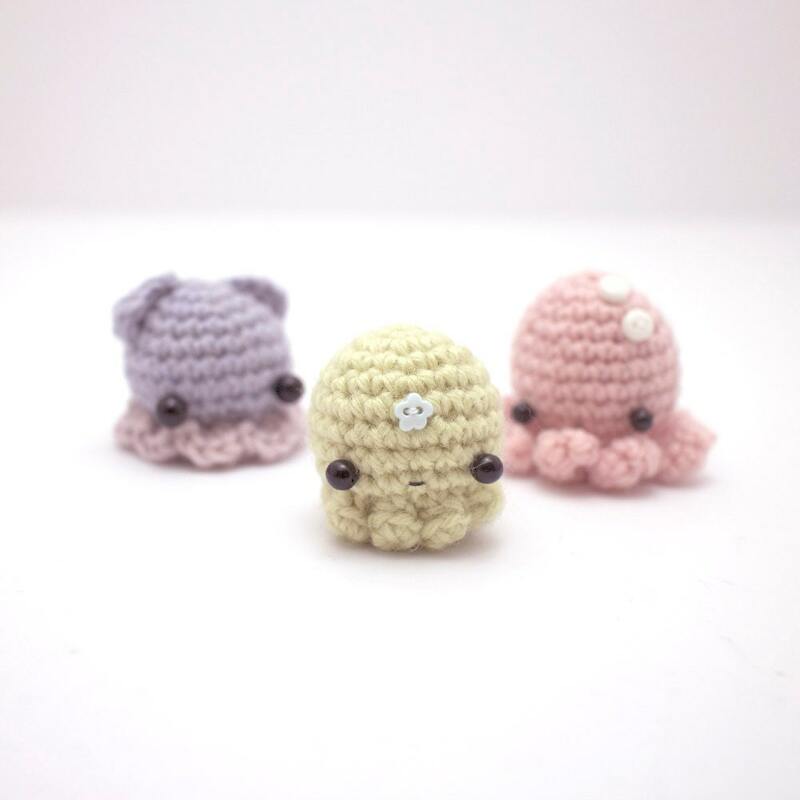 These amigurumi are small, quite quick to make, and good for using up leftover bits of yarn. You will need to be able to crochet in the round and make basic crochet stitches, including single crochet and half double crochet. These techniques are taught in the beginner's crochet guide, included in your purchase. US crochet terms are used. 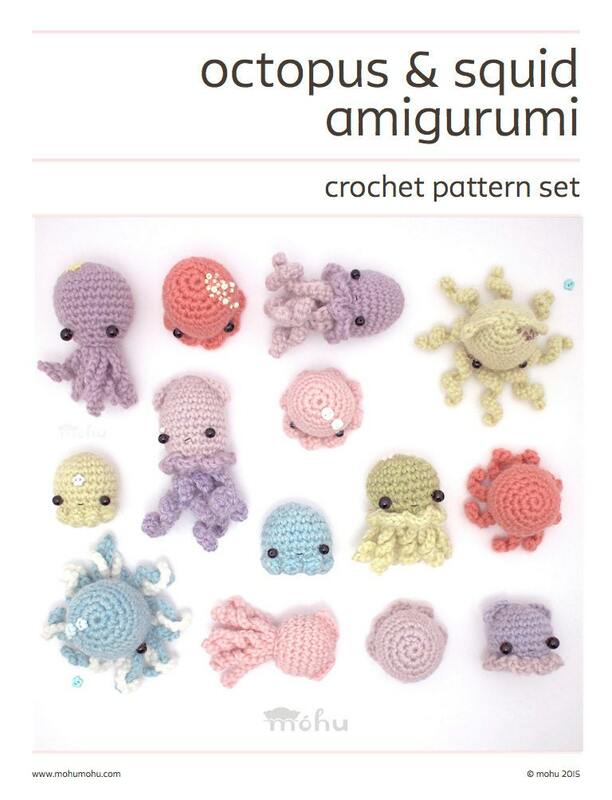 Exact gauge is not important - these amigurumi can be made with any yarn weight. The examples are made using medium (worsted) weight yarn and a 3.5 mm (E) crochet hook. They are about 4-5 cm (1.6-2”) tall. You'll need small amounts of yarn in the colours of your choice, and a crochet hook to suit your yarn weight. Toy stuffing, 4-6mm black beads for eyes, sewing thread, and sewing needles are also required. Extra things for decoration (like mini buttons or beads) are optional. Once your payment is processed, you'll receive an automatic email with a link to download the pattern. Feel free to contact me if you need any help. CUTE. Looking forward to trying the patterns. Very easy to follow this pattern, and I love that you can mix and match the different heads with the different legs. Endless possibilities! 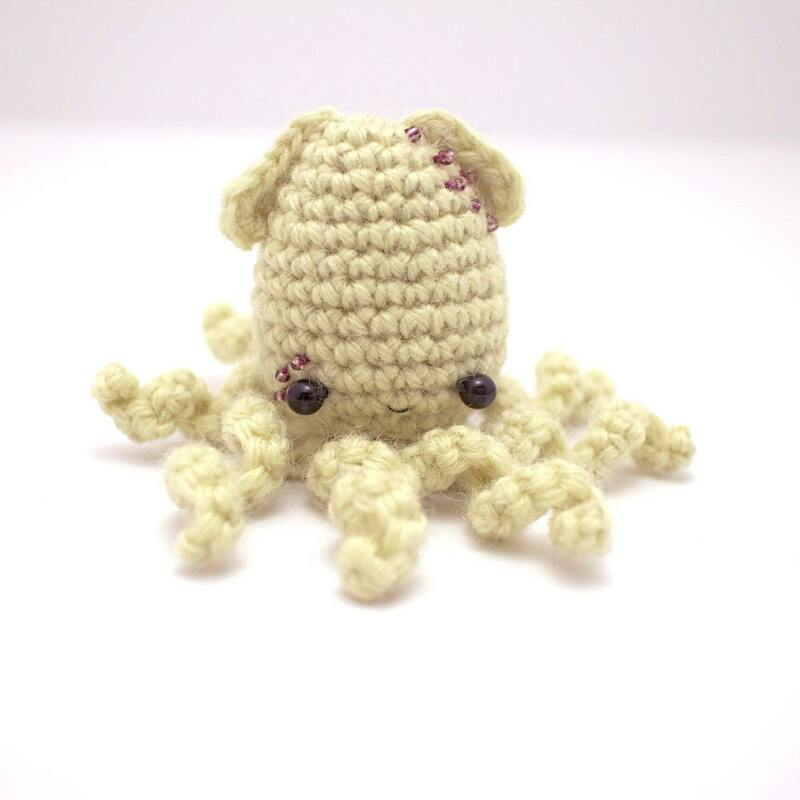 I added ears to one to make it a “squitten” per my daughter’s request.